On the second day we got an earlier start, but the heat and humidity was such that we sought refuge in shade whenever we could. That was better for the fish, too, because that’s where we caught most of the bass, bluegills, and shellcrackers. 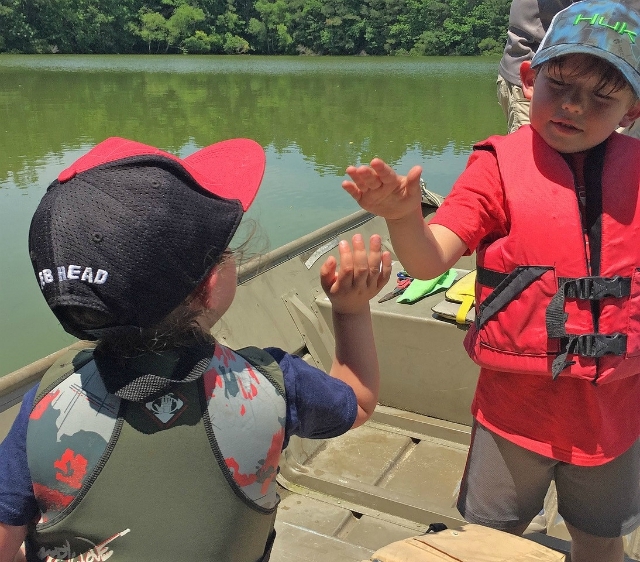 We didn’t catch a lot either outing – about six fish over two hours each trip – but Rory managed her first bass, bluegill, and shellcracker, and was always quite aware as to who’s turn it was to land the next fish.